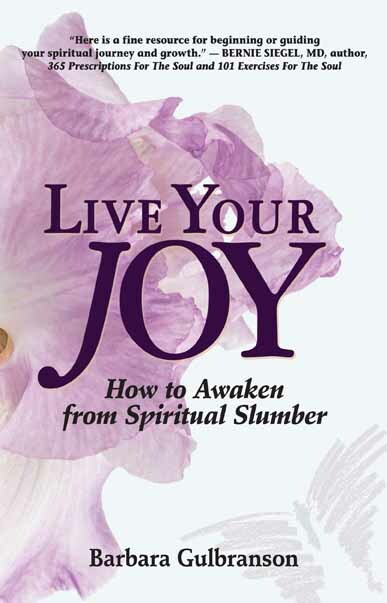 In this extraordinary book of wisdom, internationally acclaimed author Barbara Gulbranson shows us how to awaken from spiritual slumber and live our joy. Thought-provoking and inspiring, the author shows us how to find joy and purpose in today's demanding world. She leads us on a journey through the modes of action to a place of Infinite Bliss or spiritual enlightenment. In these pages, you'll learn how to use transformational drama to rise to the higher modes of action and access the Creative Power within. In-depth descriptions of the four modes of action that will help you recognize where you are now and how to move forward. Compelling stories and real-life examples that demonstrate the power of awakening from spiritual slumber in terms everyone can understand. The secrets of abolishing fear in an increasingly fearful world. A look at integrative medicine and how to use the health care system in a way that honors your spiritual self as well as your physical self. Transformational exercises that expand inner awareness and lead to lasting joy. An exclusive Book of Personal Prayers containing 25 empowering prayers. "Here is a fine resource for beginning or guiding your spiritual journey and growth. I think the subtitle says it all. If you want to wake up and create a spiritual life and have access to all its resources, then read on." "In Live Your Joy Rev. Barbara does a lovely job explaining the process of awakening. Her illustrative stories work wonderfully to bring her message to life and readers are sure to find encouragement on their spiritual path." "In this lovely, wonderful, loving book, Rev. Barbara Gulbranson skillfully illustrates how the attachment to our small, ego-centric, illusory self inhibits awareness of our Big Self - our Soul - our connection to The Divine. Reading this book will help you awaken to the extraordinary treasures within you.deep eternal peace.infinite abiding joy, and unlimited Love.all awaiting you...in the core of your own being!" "This is a MUST-HAVE book for every Law of Attraction follower. A delightful read that delivers the true spiritual essence of co-creating." "Readers will not only learn - but will also benefit immensely - from the treatments (prayers) in the last section of the book." "In recognizing the real secret of the Law of Attraction, Barbara has illustrated and outlined simple ways to incorporate God into our lives and therefore, live with purpose. It is passion for life that we desire, so I invite you to be willing, be brave and surrender to this insightful, thoughtful and delicious read."